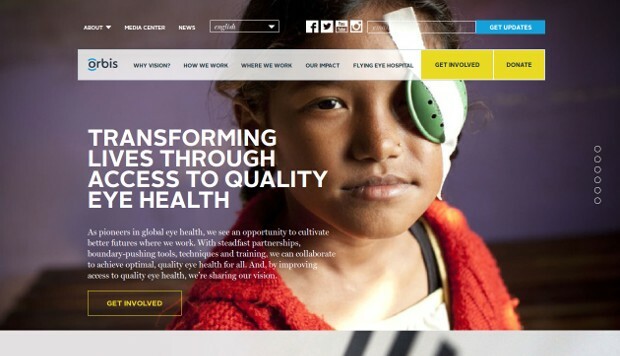 ORBIS International is a nonprofit organization that works in developing countries to save sight. ORBIS prevents and treats blindness through hands-on training, public health education, improved access to quality eye care, advocacy and partnerships with local health care organizations. It works in some of the world’s most under-served areas to deliver sight by strengthening local eye care institutions, training staff, introducing ophthalmic technology, advocating for supportive policies and increasing public awareness about eye health. Since1982, ORBIS has carried out programs in 92 countries, enhanced the skills of more than 325.000 eye care professionals and provided treatment to more than 23.3 million blind and visually impaired people. As part of ORBIS’s broad-based capacity building program, the organization works with carefully selected local partners on projects typically lasting at least three years. These partners include hospitals, health centers, universities and training centers, local NGOs, eye banks and government health departments. To provide such a vast array of capacity building programs over an ever-increasing terrain, ORBIS relies on an active pool of roughly 500 volunteer faculty members to provide clinical and technical expertise at local hospitals as well as onboard it’s Flying Eye Hospital — a one-of-a-kind ophthalmic surgical and training center located within a DC-10 aircraft. ORBIS uses volunteer pilots from FedEx and United Airlines to transport the Flying Eye Hospital from one destination to the next. The ORBIS Flying Eye Hospital is the result of a unique and lasting alliance forged between the medical and aviation industries. Their specially designed and converted DC-10 aircraft—the world’s only airborne ophthalmic training facility—makes it possible for ORBIS to bring ophthalmic training to communities throughout the world. On board and in local hospitals, the ORBIS team and Volunteer Faculty provide hands-on training to local eye care professionals and convey the latest medical knowledge to treat patients and restore sight. Care for a new (challenging) job?